The fast and east way to refill your prescription. Proudly serving Washington County for 100 years! 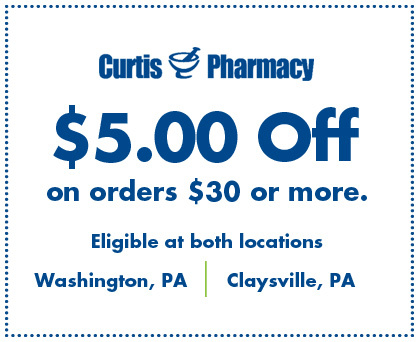 Sign Up for offers from Curtis Pharmacy! By entering your email address, you agree to receive marketing and promotional emails. *Gift Cards cannot be used for prescription co-payments.